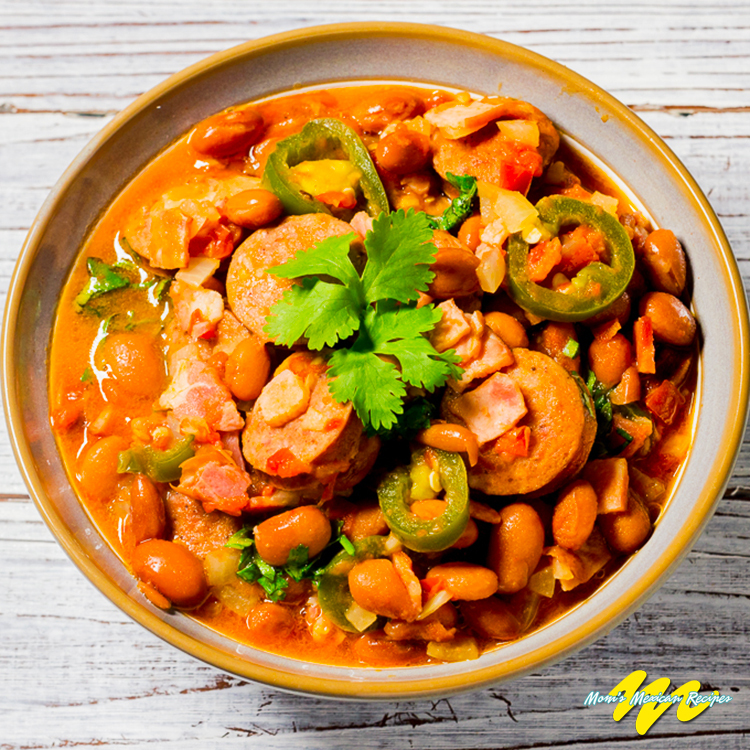 This Charro Beans Recipe, in other words, Frijoles Charros Recipe or Frijoles a la Charra, is simple and delicious.The Charro Beans is a great side dish for your Carne Asada recipe. A fancy restaurant’s grilled beef offering carne asada inevitably sports a helping of this classical recipe. 2 sliced turkey sausages (optional). Leave a pot of beans covered in water overnight. The following day replace the water - adding a sufficient amount to begin cooking. 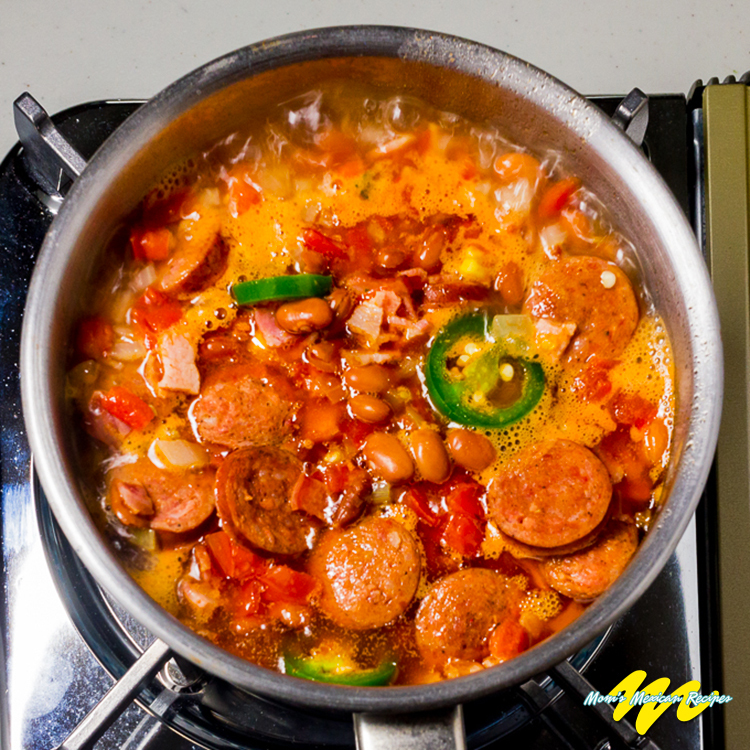 As the water reaches its boiling point, add the ½ onion and garlic cloves. Cook until done, then add salt according to taste. 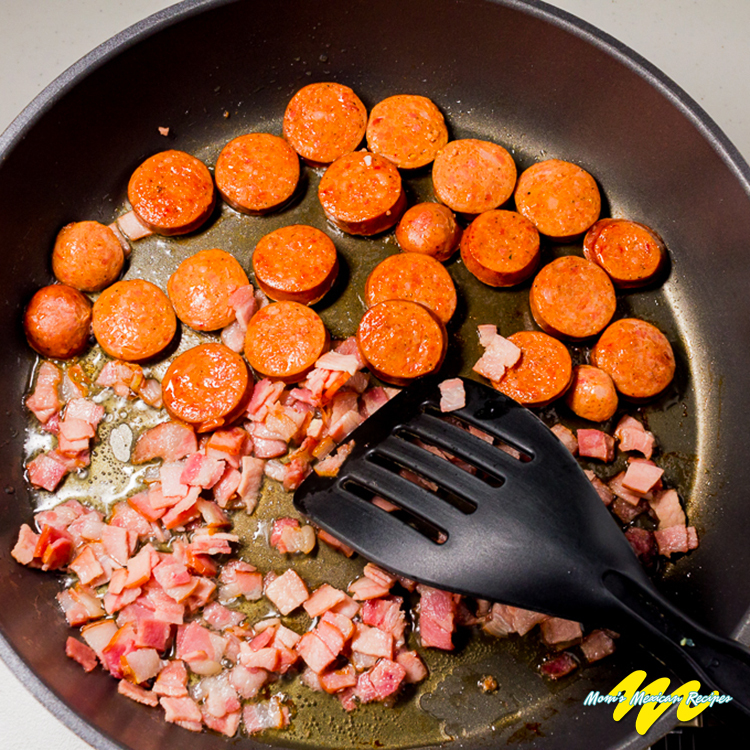 In a frying pan with a small amount of cooking oil, fry the bacon and chorizo for about 4-5 minutes. Add the chopped onion, the chilli pepper, and tomato and continue to fry. 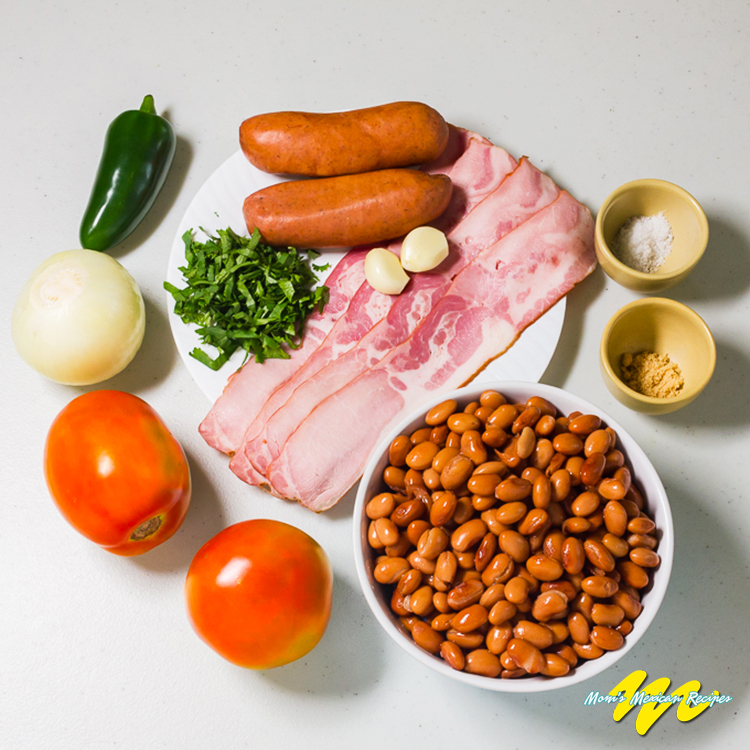 Add the fried ingredients to the pot of beans. Once the mixture is brought to boil, add the cilantro, pork rinds, and sausages. Season with salt and powdered chicken broth. 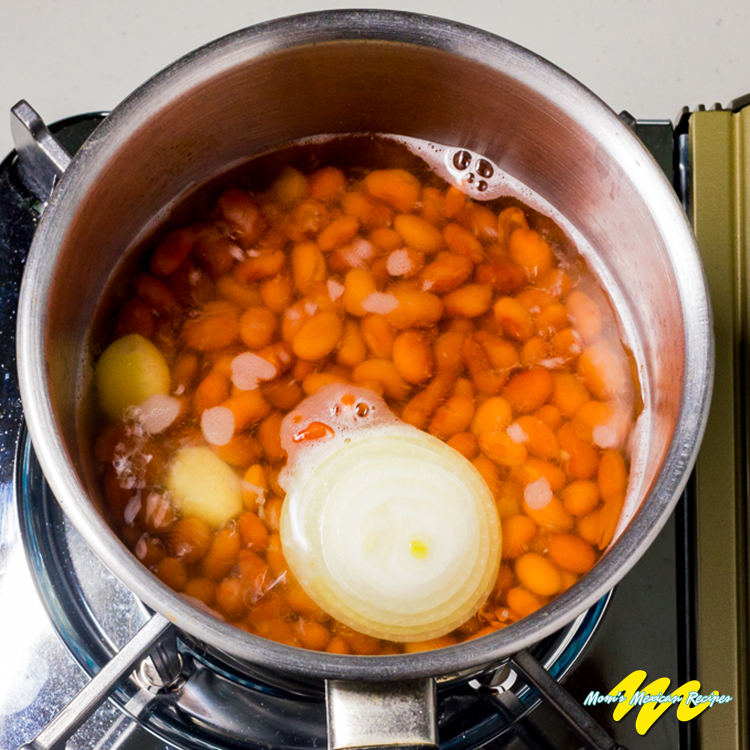 Soaking the beans overnight will reduce cooking time and intestinal gas. BEANS are high in folic acid. Beans prevent anemia, helps against fatigue and is necessary for the formation of red blood cells. Questions / Ideas regarding the recipe? Leave your comment Below to make our recipe more accurate. Don’t Forget to Like our Official Facebook Page for more Mexican Recipes. I loved this recipe! These were so good. I can’t wait to make them again. Thanks for the recipe. These are now a staple friends always want them. They are delish. I have recently gone vegan for health reasons but I still make them for my husband . Thanks for sharing.